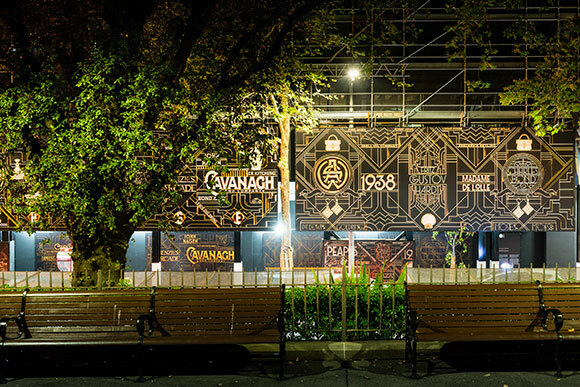 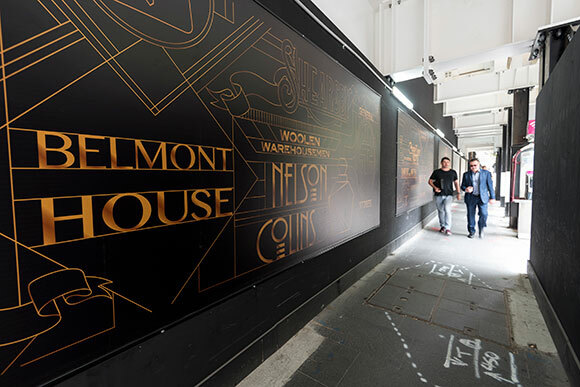 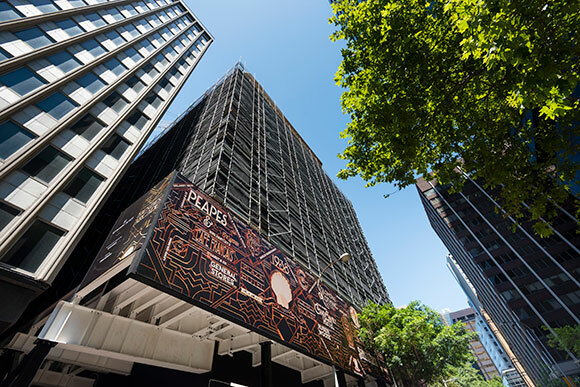 Brookfield’s Wynyard Place precinct continues to grow its reputation as a significant hub for arts-related installations, with a large-scale artwork homage to historic Shell House. 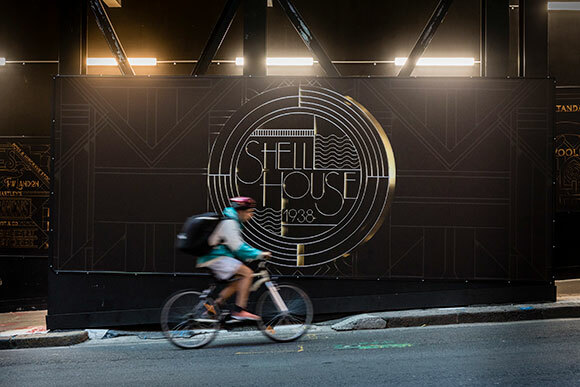 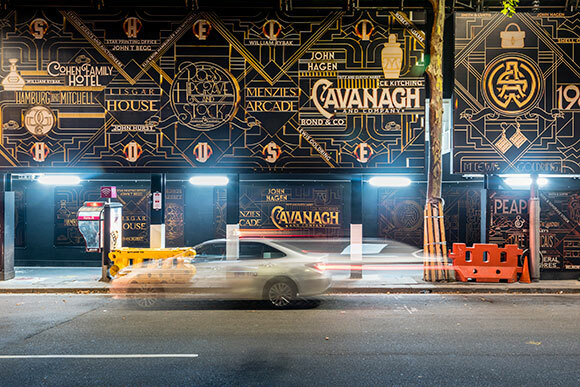 Located on the prominent corner of Margaret and Carrington Streets, Shell House is a Sydney landmark. 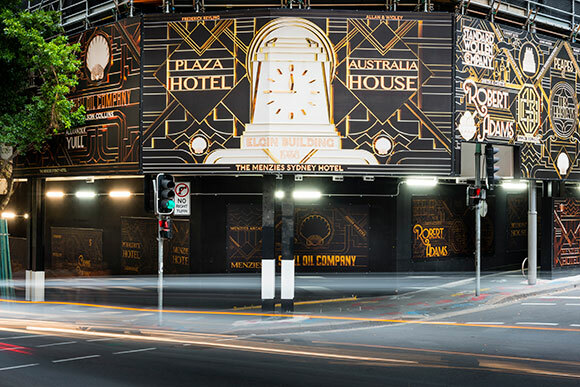 It’s a distinguished example of a pre-skyscraper era building, having been completed in the late 1930s and now proudly heritage-listed. 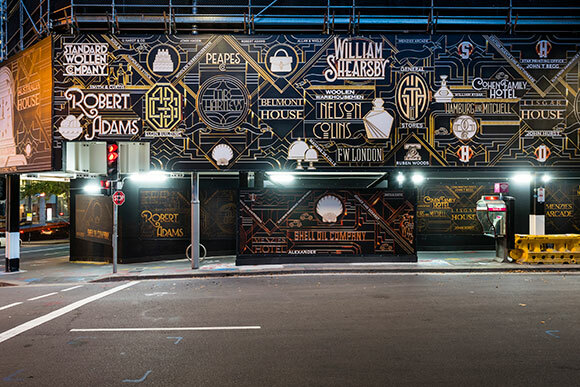 Sydney-based creative Luca Ionescu (well known for his typography and logo work, and his instantly recognisable design for the film ‘The Great Gatsby’) created a commissioned artwork that was sympathetic to the building’s history, taking its cues from the Art Deco period and incorporating the retail brands and bespoke makers who’ve had a presence in the Wynyard Place precinct from the 1800s to the 2000s. 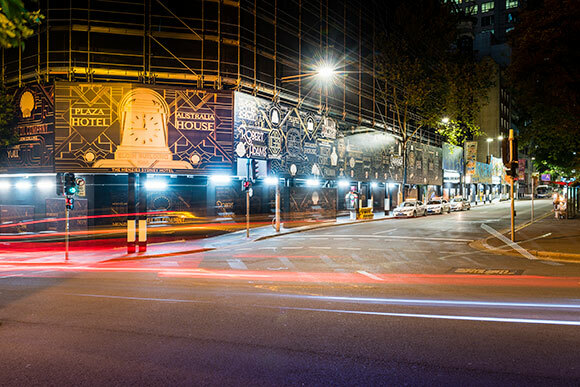 This spectacular pre-placemaking project was brought to the people of Sydney by Arts Brookfield and was curated and produced by aMBUSH Gallery (an initiative of Wiltshire + Dimas Management).